Barbara Luddy (May 25, 1908 – April 1, 1979) was an American actress from Great Falls, Montana. Her film career began with silent pictures in the 1920s, during which time she was also a prolific radio performer. Luddy died in Los Angeles, California, in 1979 age 70 from lung cancer. Leopoldo Antonio CarrilloSpanish pronunciation: [Cay-reel-yo], was an American actor, vaudevillian, political cartoonist, and conservationist. He was best known for playing Pancho in the very popular Western television series The Cisco Kid (1950–56) and in several films. Chicago Theater of the Air was a weekly American radio program that featured hour-long operettas & musical theater. It first ran locally in May 1940 on WGN radio in Chicago and then nationally as an unsponsored show on the Mutual Broadcasting System from October 5, 1940, to September 11, 1954. The First Nighter Program was a long-running radio anthology comedy-drama series broadcast from November 27, 1930, to September 27, 1953. The host was Mr. First Nighter. Lester Tremayne was a radio, film and television actor. Lonely Women was a radio soap opera in the United States during World War II. It "told of women separated from their men by war." The 15-minute program, which was sponsored by General Mills, ran one season on NBC, with its first episode broadcast June 29, 1942." Luddy is perhaps best remembered for her voice work in Disney animated films such as Lady and the Tramp (in which she played the titular Lady), Sleeping Beauty , One Hundred and One Dalmatians , Robin Hood and the Winnie-the-Pooh featurettes including Winnie the Pooh and the Honey Tree , Winnie the Pooh and the Blustery Day , and Winnie the Pooh and Tigger Too ,  all of which were edited into the composite feature The Many Adventures of Winnie the Pooh . Her other film credits include Terrified (1962) and the TV film Lost Flight (1969). Luddy guest starred in episodes of such television programs as Hazel , Dragnet , Adam-12 , and Kolchak: The Night Stalker . Sterling Price Holloway Jr. was an American character actor and voice actor who appeared in over 100 films and 40 television shows. He was also a voice actor for The Walt Disney Company, and served as the original voice of the title character in Walt Disney's Winnie the Pooh. The Many Adventures of Winnie the Pooh is a 1977 American animated film produced by Walt Disney Productions and distributed by Buena Vista Distribution. It is the 22nd Disney animated feature film and was first released on a double bill with The Littlest Horse Thieves on March 11, 1977. Julie McWhirter, also known as Julie Dees and Julie McWhirter-Dees, is a retired American voice actress and impressionist best known for her work as Jeannie in the animated version of Jeannie, Bubbles in Jabberjaw and Baby Smurf and Sassette in The Smurfs. Rita Ann Johnson was an American actress. Winnie the Pooh and the Honey Tree is a 1966 animated featurette based on the first two chapters of the book Winnie-the-Pooh by A. A. Milne. The film was produced by Walt Disney Productions. Its songs were written by the Sherman Brothers and the score was composed and conducted by Buddy Baker. Winnie the Pooh and the Blustery Day is a 1968 animated featurette based on the third, fifth, ninth, and tenth chapters from Winnie-the-Pooh and the second, eighth, and ninth chapters from The House at Pooh Corner by A. A. Milne. The featurette was produced by Walt Disney Productions and released by Buena Vista Distribution Company on December 20, 1968 as a double feature with The Horse in the Gray Flannel Suit. This was the second of the studio's Winnie the Pooh shorts. It was later added as a segment to the 1977 film The Many Adventures of Winnie the Pooh. The music was written by Richard M. Sherman and Robert B. Sherman. It was notable for being the last animated short produced by Walt Disney, who died during its production. Winnie the Pooh and a Day for Eeyore is a 1983 Disney Winnie the Pooh animated featurette, based on two chapters from the books Winnie-the-Pooh and The House at Pooh Corner, originally released theatrically on March 25, 1983, with the 1983 re-issue of The Sword in the Stone. It is the fourth and final of Disney's original theatrical featurettes adapted from the Pooh books by A. A. Milne. Ruby Jean Dandridge was an American actress from the early 1900s through to the late 1950s. Dandridge is best known for her radio work in her early days of acting. Dandridge is best known for her role on the radio show Amos 'n Andy, in which she played Sadie Blake and Harriet Crawford, and on radio's Judy Canova Show, in which she played "Geranium". She is recognized for her role in the 1959 movie A Hole in the Head as "Sally". Arlene Harris was a Canadian-born American radio, film, and television actress. She was best known for her role as "the human chatterbox" on Al Pearce's radio program. Irene Tedrow was an American character actress in stage, film, television and radio. The Adventures of the Thin Man radio series, initially starring Les Damon, was broadcast on all four major radio networks during the years 1941 to 1950. Claudia Morgan had the female lead role of Nora Charles throughout the program's entire nine-year run. The radio series was modeled after the film series which was based on the 1934 Dashiell Hammett novel. Cecil H. Roy was a radio actress who was well known in radio broadcasting of the 1930s and 1940s as The Girl of a Thousand Voices. Gay Seabrook was a film, Broadway and radio actress. Barbara Weeks was an American actress and voice talent in the Golden Age of Radio. She was best known for her work in soap operas. Helen Claire was an actress on Broadway and in old-time radio. Elspeth Eric was an actress in old-time radio, "usually cast as the other woman in soaps and serials." Mary Jane Higby was an American actress in the era of old-time radio and the early years of television. She is best known for her 18 years in the leading role on When a Girl Marries. A Bear Named Winnie is a 2004 made-for-television drama film directed by John Kent Harrison. It stars Michael Fassbender and David Suchet. 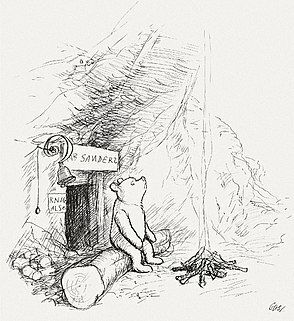 It concerns one of the real-life inspirations behind A.A. Milne's Winnie The Pooh. 1 2 "Helena Girl Gains Success on Stage". The Independent Record. Montana, Helena. January 6, 1930. p. 2. Retrieved July 17, 2016– via Newspapers.com. ↑ "Barbara Luddy Vacations in Filmdom". Long Beach Independent. 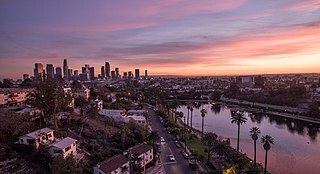 California, Long Beach. October 7, 1943. p. 12. Retrieved July 17, 2016– via Newspapers.com. ↑ DeLong, Thomas A. (1996). Radio Stars: An Illustrated Biographical Dictionary of 953 Performers, 1920 through 1960. McFarland & Company, Inc. ISBN 978-0-7864-2834-2. P. 170. 1 2 "Joins "Woman in White"". Harrisburg Telegraph. Pennsylvania, Harrisburg. May 31, 1941. p. 24. Retrieved July 17, 2016– via Newspapers.com. ↑ "Co-Star with Tremayne in "First Nighter"". The Ironwood Times. Michigan, Ironwood. October 14, 1942. p. 11. Retrieved July 17, 2016– via Newspapers.com. ↑ ""Lombardi, Ltd."". The Sydney Morning Herald. Australia, Sydney. September 2, 1929. p. 8. Retrieved July 17, 2016– via Newspapers.com. 1 2 3 4 5 Terrace, Vincent (1999). Radio Programs, 1924-1984: A Catalog of More Than 1800 Shows. McFarland & Company, Inc. ISBN 978-0-7864-4513-4. P. 74. ↑ "Signed for Fifty-Two Weeks". Pennsylvania, Harrisburg. The Evening News. June 1, 1937. p. 16. Retrieved July 17, 2016– via Newspapers.com. ↑ Mazurki, Jeannette (January 5, 1972). "Barbara Luddy voice of Disney cartoon characters". The Lowell Sun. Massachusetts, Lowell. Copley News Service. p. 50. Retrieved July 17, 2016– via Newspapers.com.